For applications where viewing a display at the link is not feasible or protection from extreme elements is a must, the TL8000? 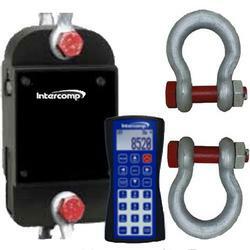 Tension Link scale is designed with all of the functionality of the TL8500? less the self-contained display at the link. The TL8000? is packaged to include the Handheld Remote Control to view and control the scale at safe distances and fully integrated wireless communication. The standard, commercially available batteries last up to 300 hours in scales. Intercomps TL-RFX Indicator is a wireless remote display for viewing and controlling TL8000 and TL8500 Series Tension Link Scales from up to 300 (90m), line of sight. It offers three display modes, depending on your operational requirements and allows simultaneous viewing of data from up to four links, including total weight. The large, 3.3" (84mm) graphic display (measured diagonally) is standard with backlight for improved visibility from most viewing angles. Also features output to RFX? Enabled Wireless Printers. When working around overhead loads or measuring line tension, accuracy and safety cannot be compromised. 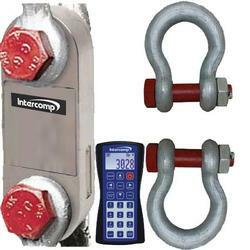 The TL8000 and TL8500 Series Tension Link scales from Intercomp are the industry standard for controlling and monitoring overhead loads and line tension while helping to maintain a safe work environment. Standard features include an easy-to-read 1.2? (30mm) LCD Display with backlight and fully integrated wireless communication, while alkaline batteries provide up to 300 hours of power. 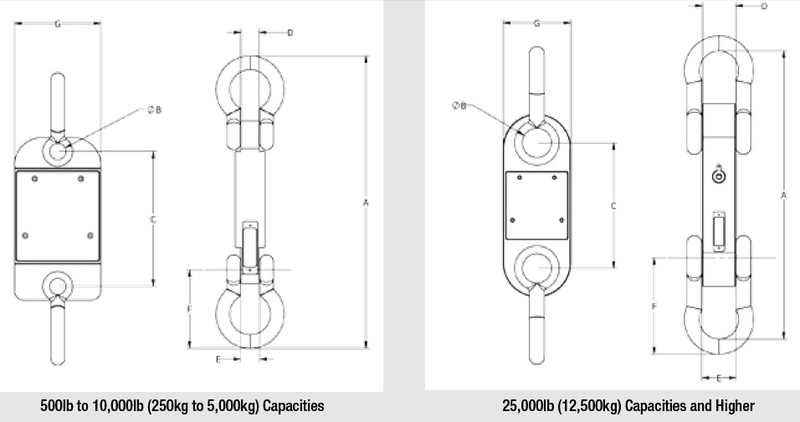 For applications where viewing a display at the link is not feasible or protection from extreme elements is a must, the TL8000 Tension Link scale is designed with all of the functionality of the TL8500? but without the self-contained display at the link. TL8000? is packaged to include the TL-RFX? Indicator to view and control the scale at safe distances. For stand-alone applications when you require an on-board display or prefer the dual functionality of combining your tension link(s) with a remote indicator, the TL8500? combines the most functionality and flexibility into one complete device. Capacities to 10,000lbs (5,000kgs) are machined from aerospace-grade aluminum. Stainless/Chromoly Steel is used for capacities of 25,000lbs (12,500kgs) and higher. Machined from aerospace-grade aluminum. Stainless/Chromoly Steel.